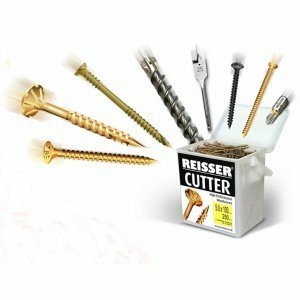 Firstly, Reisser Cutter Screws Boxes are designed to give ultimate performance and a perfect finish in all wood applications. The two patented slots (25mm and above) allows the screw to be used closer to the edge of the timber without splitting. 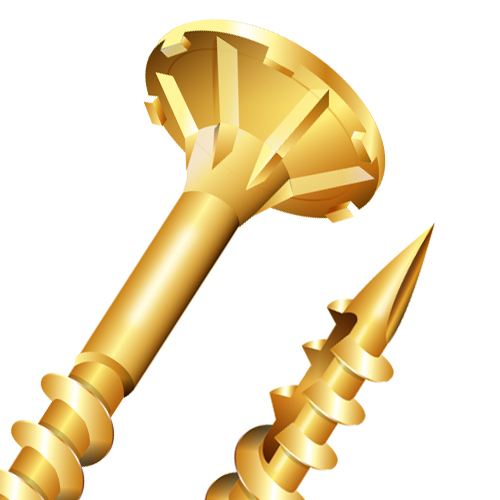 The screw ribs and tucks under the head enable the screw to sit flush and tight without surface damage. 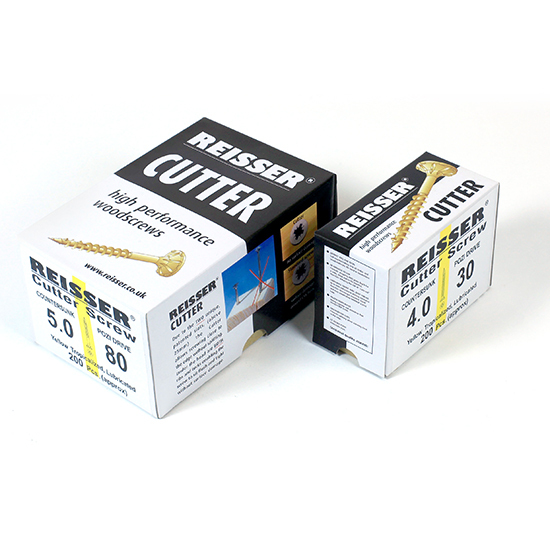 Cutter screws feature a 20º needle point gives the ability to penetrate almost all timbers without a pilot hole and the sharp, wide deep thread with unique Resser lubrication gives up to 40% less driving resistance and easy penetration. 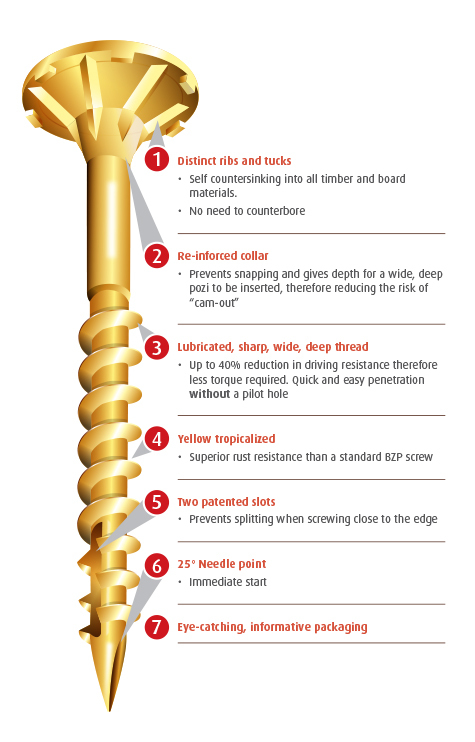 The Yellow Tropicalized coating gives superior corrosion resistance (compared to a standard BZP coating) and the deep reinforced countersunk head recess allows the best possible fit to the driver bit. Finally, this head design helps to reduce “cam out” and provides extra strength at the critical junction between shank and head. Also many sizes are available in A2 grade stainless steel in clip boxes or boxes of 200.